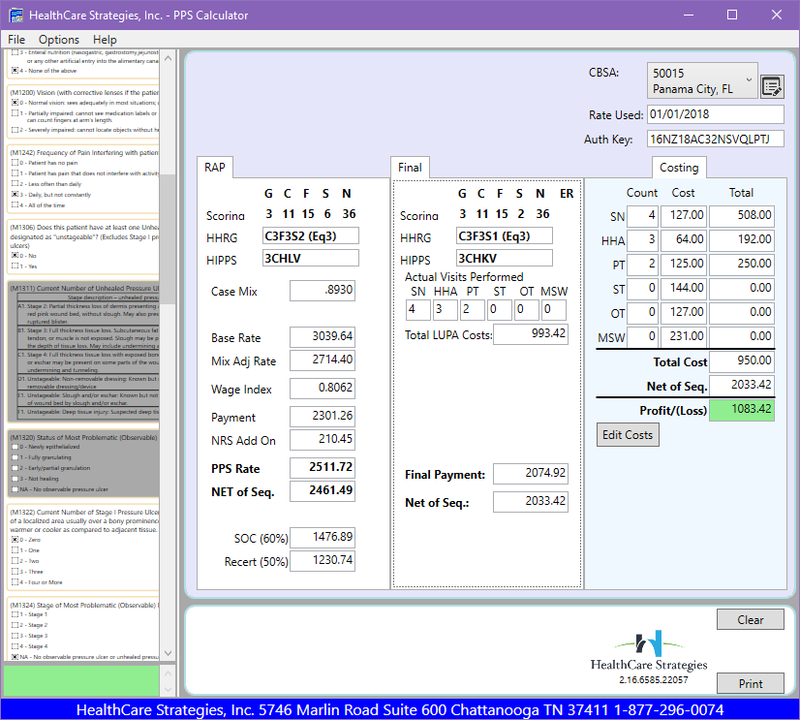 The HCS Calculator™ has been updated to handle the new OASIS-D changes as well as the FIPS requirement for rural add on. Download a free 30-day trial of PPS Calculator and install the application. The application will ask for an Installation Key, please contact us at (877) 296-0074 to get started.